Our two main production units are manually controlled, overpressured multi-purpose units. 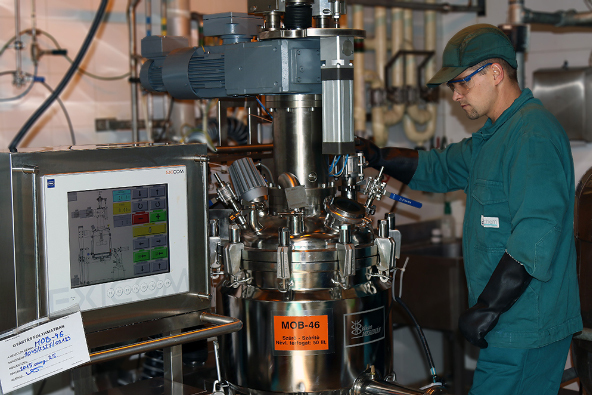 Each reactor is independently ventilated to avoid cross-contamination; the Hastelloy C reactor is particularly useful for running organometallic chemistry – typically lithiations, Grignards or hydride reductions. When scaling up, we recognise the need to eliminate reactions at cryogenic temperatures wherever possible in order to reduce costs, but we also know that this is not always achievable – some chemistry simply won’t work at elevated temperatures. For more information visit cGMP API Manufacture.